Eclipse Metallic - Anyone who has experiencednature's most amazing and unusual phenomenon never forgets it. Using a patented SwissSuper-LumiNova® pigment on watch dial and minute hand, the Eclipse watch offersday and night visibility with bright illumination in the dark. 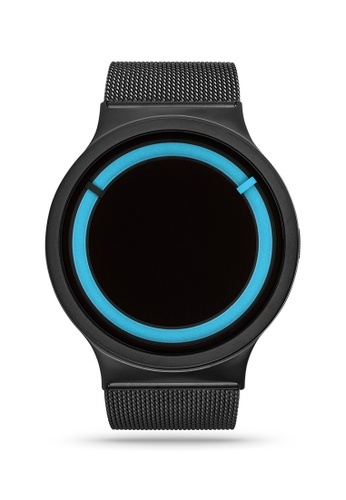 This watch glowsin the dark with sufficient activation by sunlight or artificial light. The blackhand representing the hour and the colored hand displaying the minute. Can't find Eclipse Steel Black Ocean Watch in your size?